The Little House of Concrete Bookshelves: Ian Rankin "Standing In Another Man's Grave"
Ian Rankin "Standing In Another Man's Grave"
A man, it is said, cannot serve two masters and I’d suggest a novelist cannot run two protagonists, especially when they’re as diametrically opposed as John Rebus and Malcolm Fox. 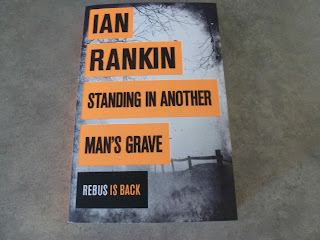 News Ian Rankin had brought Rebus back to life in or around the force brought back memories of a remark from Rankin that Rebus was working on cold cases as a civilian, although the retirement age had been lifted and there was a possibility of him rejoining after five years away from the force. If he did he’d more than likely come across Malcolm Fox from The Complaints who might, looking back on the plot line of The Impossible Dead, be inclined to turn a blind eye to some of the Rebus irregularities provided his nose was otherwise clean. Fox, I thought, worked rather neatly in those two titles, a man doing his (unpopular) job against a background of resentment and defiance that bordered, at times, on overt rebellion. With those two stories largely told from Fox’s point of view and through his eyes an author’s setting himself an impossible task if he sets out to analyse the events surrounding the disappearance of Annette McKie, the most recent of a number of girls who’ve disappeared around the A9, one of Scotland's major arterial roads, through both sets of eyes. It probably could be done, but not without getting in the way of the plot line in operation here. Rebus might be back, operating on the fringes, but there’s one key element that’s going to work against him rejoining, and that’s an interesting change in the nature of his interaction with his nemesis, Big Ger Cafferty. 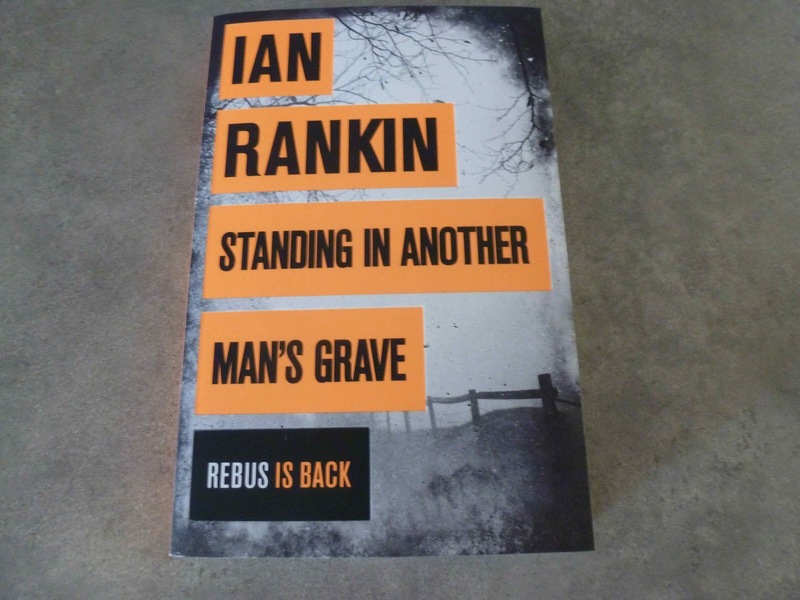 At the end of Exit Music, with Cafferty in hospital, Rebus happens to save his life, exactly the sort of behaviour that would convince the watchdog that Rebus is bent. From his own point of view, of course, Rebus wants the final satisfaction of putting Big Ger away for a long spell, something that’s not going to be possible if he up and dies on you. In any case Rebus now gets regular visits from the supposedly retired Cafferty, which is exactly the sort of thing that’s going to further arouse Fox’s suspicions. There’s also an interesting development involving Cafferty’s interaction with the family of the latest girl to disappear which isn’t going to make Rebus look too good from where Fox is sitting. The Rebus-Fox interactions are, at this point, very much a side issue, By the end of this particular narrative, with Rebus having sorted out a string of cold cases and the latest disappearance you can see potential for this interaction to develop further, particularly with Rebus’ former colleague, Siobhan Clarke, moving up through the ranks. As far as Fox is concerned, Rebus should be extinct ... Somehow the Ice Age came and went and left him still swimming around while the rest of us evolved and has spent so many years crossing the line he's managed to rub it out altogether. The assessments running in the other direction are equally blunt. As far as Rebus is concerned, Fox could have been middle management in a plastics company or Inland Revenue, so while we mightn’t end up getting a full blown Rebus versus Fox and the ethics and standards division as Fox goes about ensuring Rebus doesn’t corrupt his former sidekick we’ve got an interesting and intriguing developing subplot for future instalments. As far as this episode is concerned, the latest disappearance on the A9, the road where Sally Hazlitt was last seen twelve years earlier, has her mother Nina, perpetually ready to hear the worst about her daughter's disappearance, reminding the cold case department of her suspicion that the disappearances of a string of young women can be attributed to a serial killer on the loose. The problem with the theory lies in an absence of sightings, bodies and viable suspects, which explains an ongoing reluctance to take Nina’s theory seriously, until she heads in to have another go and finds the police station almost deserted, except for one John Rebus, who has never been one to shy away from apparently lost causes. Like his former colleagues Rebus is initially unconvinced, but goes as far as requesting the records concerning the cold cases, and comes to the conclusion that, yes, there may be a connection and contacts his former protégée Siobhan Clarke, now a Detective Inspector in the missing persons department investigating the latest disappearance. Clarke knows enough about the man to give him some rein to chase down clues no one else wants to look at, but her long-standing admiration for Rebus's detective abilities is at odds with her own career prospects in the new-style, corporate police force, which is where Fox comes into the picture when Rebus manages to get himself temporarily attached to the missing persons department to help with the case. There’s more to link the cases than the fact that all these girls disappeared along the same stretch of road. In the most recent cases photographs of the same country scene have been sent to mobile phones belonging to friends (and not always close ones) and relatives. The search for that scene, which has to have some significance, sees Rebus travel the length of the A9 in his battered Saab, haring all over Scotland to Glasgow, Aberdeen, Inverness and the far north, unearthing buried secrets, tracking down those who have moved or retired to remote areas, bending and breaking the rules, arguing with his superiors, and displaying the Rebus single-minded doggedness in his quest for justice. Alongside that investigation there’s a neat little subplot involving Cafferty, the up and coming underworld player who happens to be involved with the missing girl’s mother, and her brother. Despite the time he’s spent on the sidelines Rebus works as well as he always has. He’s the same curmudgeonly dinosaur he always was, drinking and smoking more than most of us should, listening to his favourite folk and rock classics, not quite managing the reconciliation with his daughter as he continues to play by his own rules. Rankin writes as well as ever, and, most interestingly, has things set up rather nicely for the next couple of episodes in an evolving series. Along the course of the investigation the cold cases unit is wound up, so there’s no comfort for him there if he doesn’t get back on the force full time. The realignments in the Edinburgh underworld have interesting implications for the future as Rebus looks to clamber back on board the train, Fox looks to ensure that he doesn’t and Siobhan Clarke continues to be torn between career ambitions and long term loyalties. It’s a prospect that’s guaranteed to have the fans scanning the horizon for news of the next instalment.